It was a long drive from Dodge City to Manitou Springs, but pleasant to see the terrain change from flat grasslands to Rocky Mountain foothills. 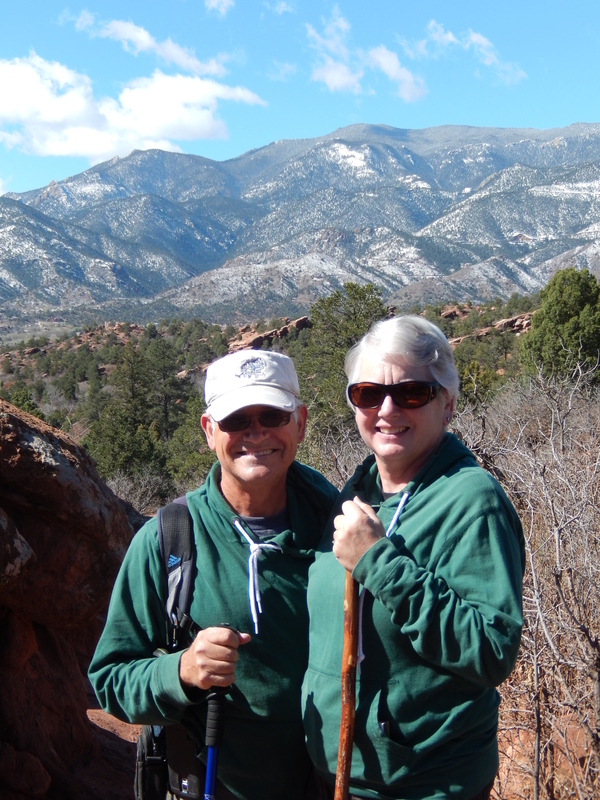 We were headed for Pikes Peak RV Park in downtown Manitou Springs. 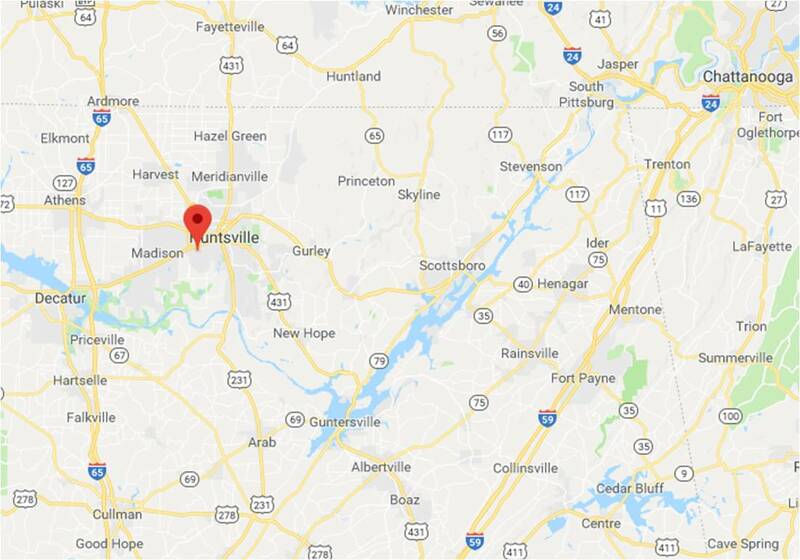 As with many of the RV parks and campgrounds, we had selected it by searching on Google Maps based on its location to areas we wanted to explore. 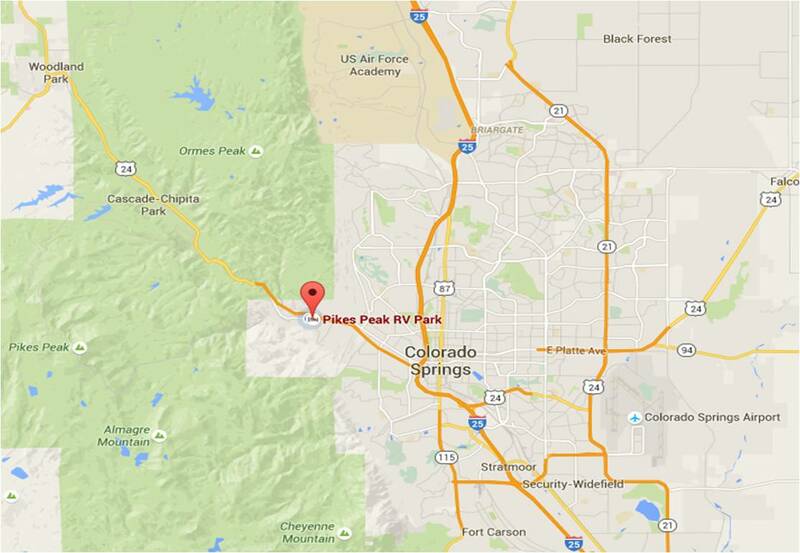 Pikes Peak RV Park had good reviews on Google and Trip Advisor and seemed to be centrally located. It is in a perfect location to see sites such as Pikes Peak, Garden of the Gods, Colorado Springs, and the U.S. Air Force Academy to name a few. The sites are nice and the management goes a long way to be helpful to everyone. Right behind the park is a trail, used by runners and walkers, that goes west to downtown Manitou Springs and east to Colorado Springs. We arrived on Thursday, April 14th and in regards to the weather, our timing could have been better. We soon discovered there was a cold front coming through the Rockies and the forecast was that we could get snow as early as Friday. We had planned to ride the Cog Railway to the top of Pikes Peak and the expected snow would block the tracks. When we woke up Friday morning the weather was chilly, but clear. We could see clouds covering the top of Pikes Peak and felt that even if we got to the top we wouldn’t be able to see anything. Instead we opted to hike in the Garden of the Gods. We got there before the Visitor Center opened, but the trails are well marked so we started hiking right away. Back in the 1859 two surveyors came upon the rock formations. Malancthon Beach said this would be a “capital place for a beer garden.” His companion, Rufus Cable replied, “Beer Garden! 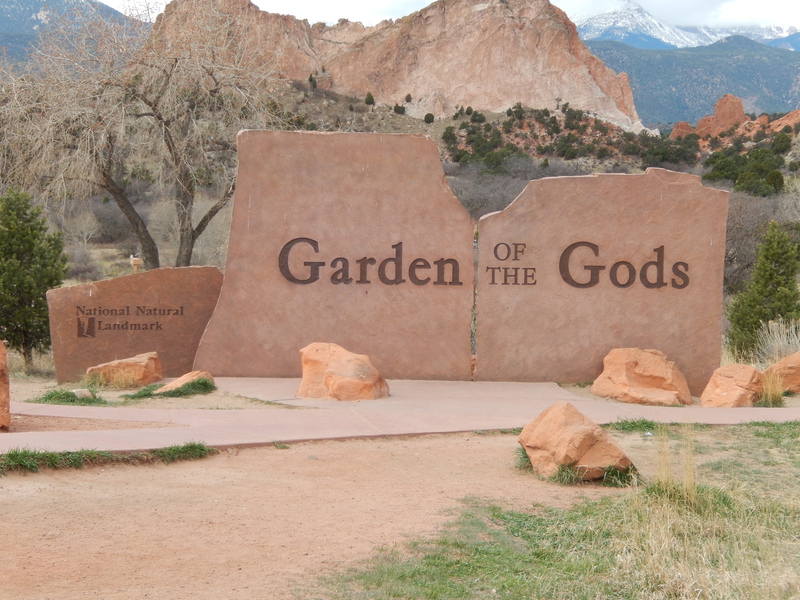 Why this is a place fit for the Gods to assemble.” Hence came the name Garden of the Gods. In 1879, General William Palmer, founder of Colorado Springs, convinced his friend, Charles Perkins to purchase land in the Garden of the Gods. Perkins bought 480 acres for $22 per acre. He never built on this land but allowed the public to enjoy the property. He wanted the land to become a public park but died before he could accomplish this. Perkin’s children followed their father’s wishes and in 1909 the City Council accepted the land, with the provision that the park would be open to the public at no charge. In 1972 Garden of the Gods was recognized as a National Natural Landmark. 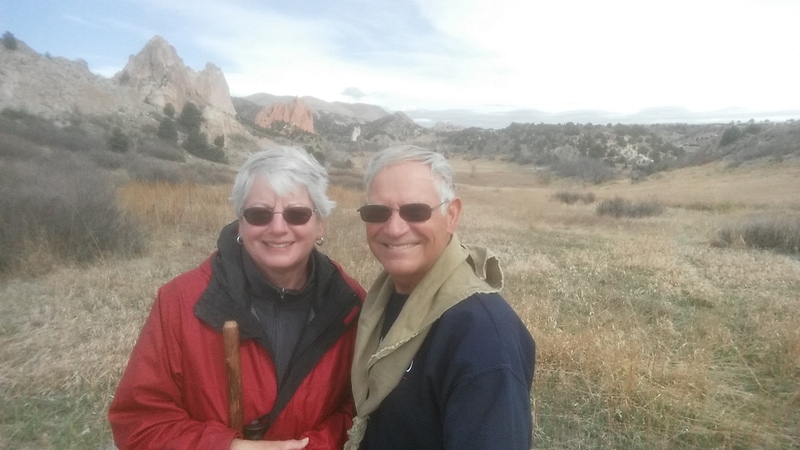 We hiked through Central Garden area that is handicapped accessible with paved paths, then went on to the Ute Trail that explored the grasslands that were once a reservoir that supplied water to the Rock Ledge Ranch. The Central Garden area has the most dramatic and most photographed rock formations. It has been used for community activities, such as Easter Morning Sunrise Services and Chuck Wagon Dinners. 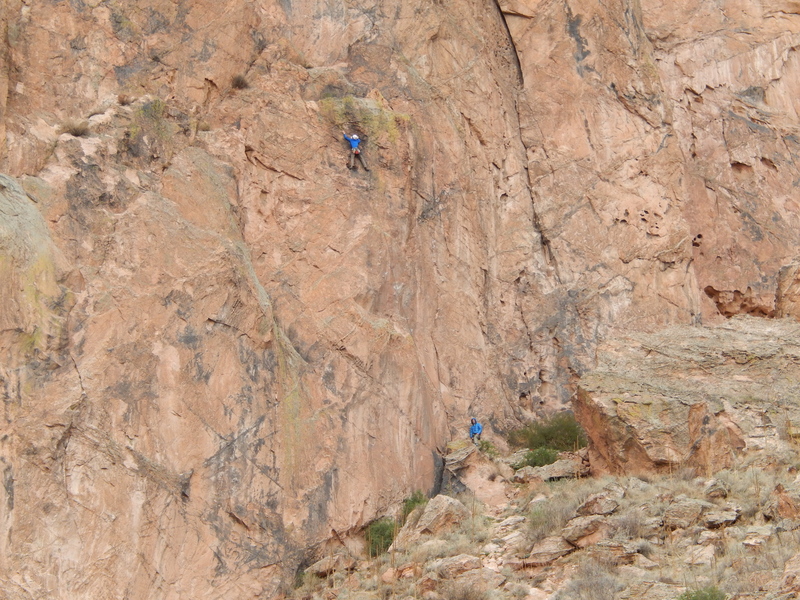 Throughout the park you are allowed to climb on the lower rocks, but permits and proper climbing equipment are required to climb the more difficult sections. While we were hiking on the Ute Trail we spotted a climber on the Cathedral Rock. He looked like a speck on the cliff wall from our location. As we hiked we looked to Pikes Peak and saw it surrounded by clear skies and hoped we hadn’t missed a good opportunity. After hiking we went to the Visitor Center and toured their displays and picked up some more detailed hiking maps of the area. That afternoon the snow began to fall and by morning we were covered with 6-8 inches of the white stuff. The skies were cloudy and there was more snow in the forecast. Not to be deterred by the weather, we put on our hiking boots, hats and gloves and went for a walk along the trail that ran behind the RV park. The tree branches were hanging low from the weight of the heavy snow and we got dumped on more than once. A light snow continued to fall and it made for a pleasant, if not unusual, morning walk. That afternoon the manager of the RV park came around and asked us to fill our fresh water tank and disconnect from the outdoor faucet. They were expecting overnight temperatures in the 20’s and didn’t want the water lines to freeze. So much for never traveling where it is snowing! We hibernated the rest of the day and did some planning for the rest of our journey. One of my high school classmates, David Coward, lives in the area and we made arrangements to get together. The road conditions between where he lives and Manitou Springs were very bad and we decided we could meet on Monday. That morning Dave joined us at our trailer and we talked for hours about high school memories, what our families have been up to, and what it was like living in Colorado. It was surprising how much the two of us have in common. 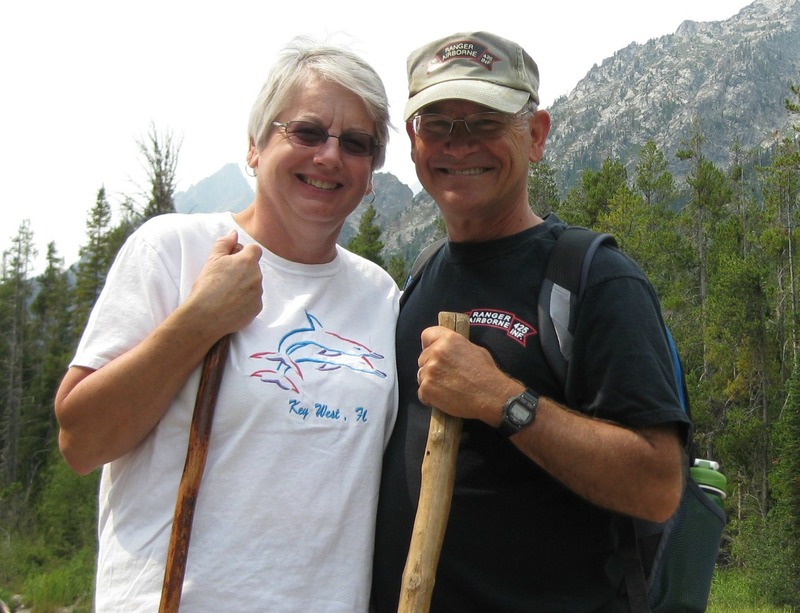 Dave and his girlfriend, Regina, are trying to visit all of the National Parks. I’m not sure he realizes how much of a challenge that is, but we had a great time sharing National Park stories. After lunch he headed for home with hopes to see each other again in our travels. By Tuesday the snow had melted away in most areas. That afternoon we visited the Manitou Caves Dwellings in Manitou Springs. I originally thought that Pueblo Indian tribes had lived in the area in these dwellings. I was surprised to find out that they had moved these dwellings from Mesa Verde, NM and rebuilt them in Manitou Springs. They also have the Anasazi Museum, which was originally opened in 1907, and depicts the daily life of the Pueblo Indians. 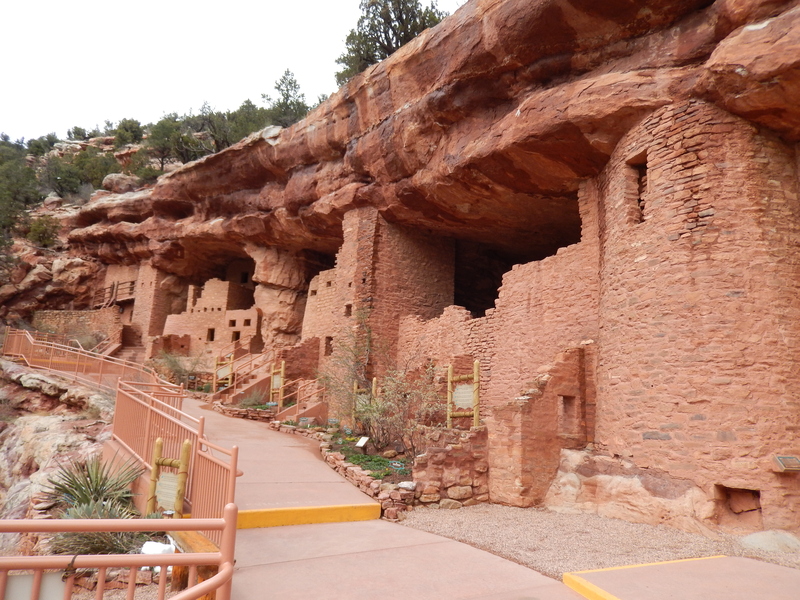 Although these are not actual cave dwellings, they are authentic and you can follow the self-guided tour through them and see up close the way the Anasazi lived. We had been monitoring the Cog Railway and discovered that it was only able to travel six of the nine miles to Pikes Peak, and not able to make it to the top due to snow on the tracks. 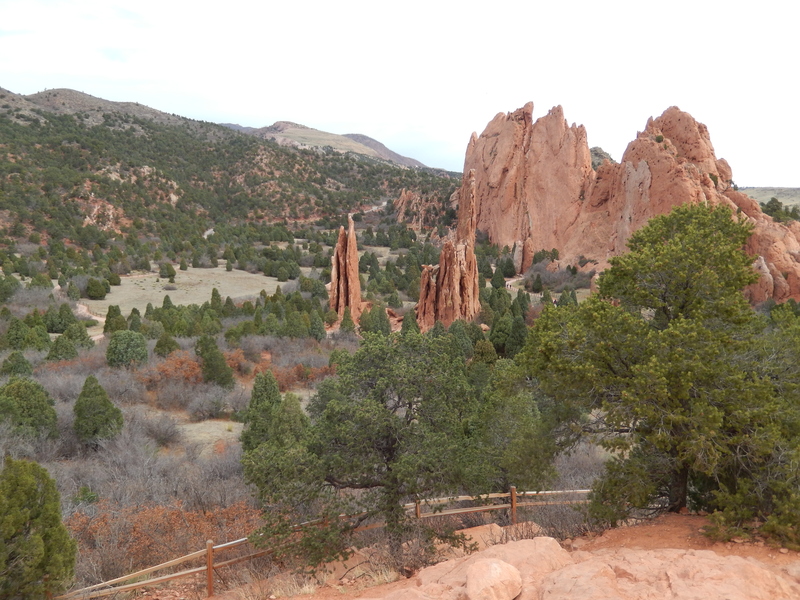 On Wednesday the weather was beautiful, but snow drifts still blocked the tracks so we gave up on riding the train to Pikes Peak and decided to hike some different trails in the Garden of the Gods. We combined several short trails into a hike of about five miles and were able to see a nice cross section of the geological features of the park. That afternoon we walked the trail into downtown Manitou Springs. To provide some history here, long before American explorers discovered the Pikes Peak region, the American Indians of the area knew of the bubbling soda springs at the base of their sacred mountain, Tava, now known as Pikes Peak. The nations of the Arapaho, Cheyenne, Kiowa, Comanche, and Apache were all visitors to the springs. Though enemies, most of these tribes would practice restraint around what they called medicine springs. In 1833 Captain John C. Fremont reported on his scientific findings at these medicinal springs after his 1824 expedition. Since 1872 thousands of sufferers have flocked to the dry air and the healing waters of Manitou Springs. 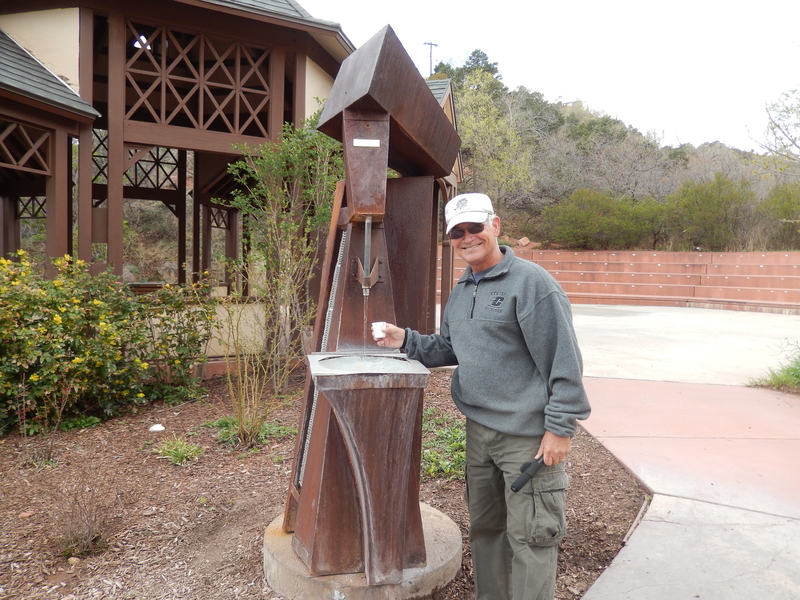 Today there are four springs in downtown Manitou Springs and everyone is welcome to drink from them. They are different in their tastes and whether you like each taste is up to you. We spent Wednesday afternoon wandering through the downtown area sampling the springs and thought it an appropriate way to end our visit. 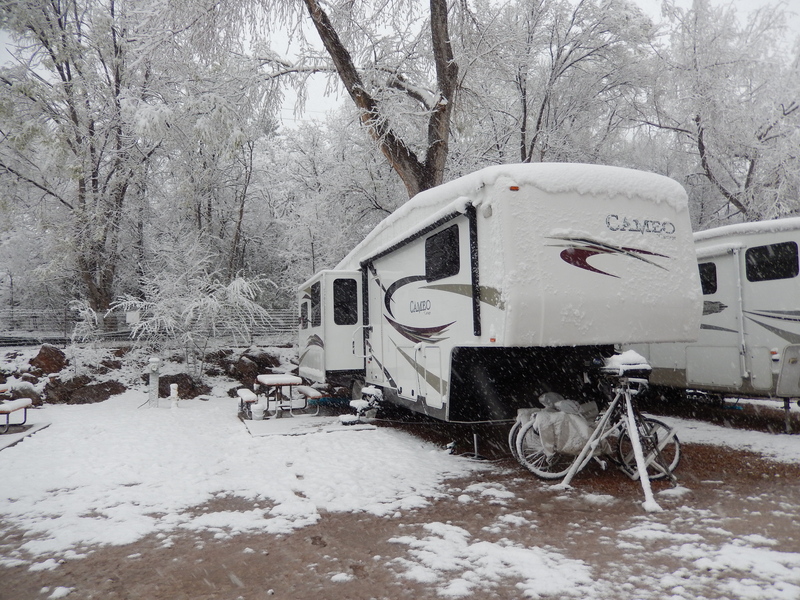 Thursday, April 21st, we awoke to a beautiful day, hitched up our trailer and headed west for the Curecanti National Recreation Area in the Blue Mesa area of western Colorado. 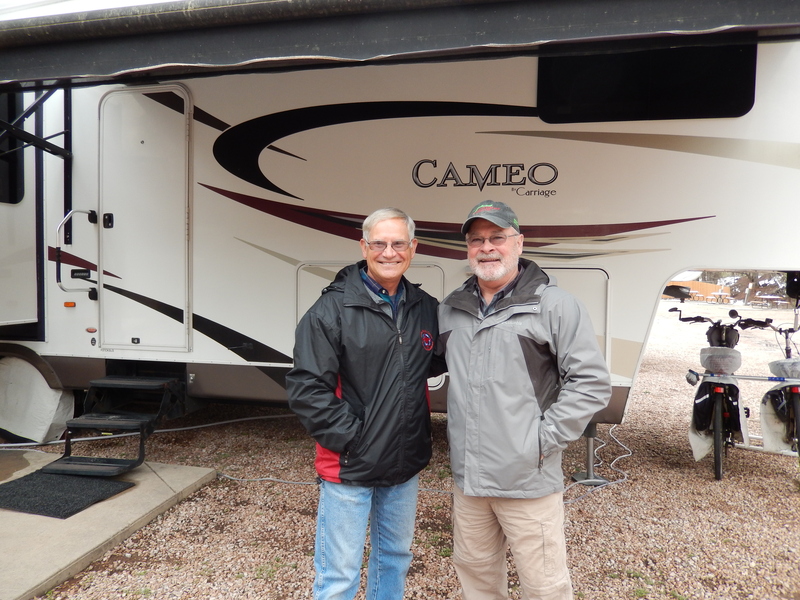 This entry was posted in Colorado, Fulltime RV, Michigan Traveler and tagged backcountry hiking, Cog Railway, fifth wheel trailer, fulltime RV, Garden of the Gods, Manitou Springs, RV Forums. Bookmark the permalink. Great history, Bob! This sent me looking for the word Manitou, as it has so many Michigan connections. 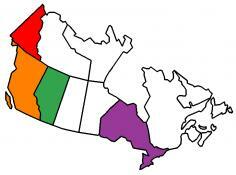 It’s quite detailed in the explanation, so I won’t try to summarize it in a comment. So cool that you got together with another Jaguar! We lived in Colorado Springs for five years and I assure you every April there’s at least one snowstorm. 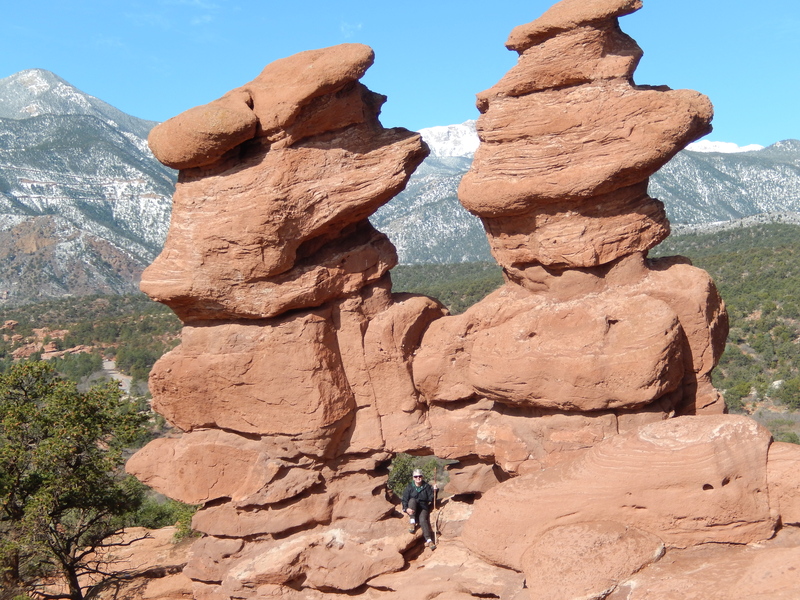 I always enjoyed hiking at Garden of the Gods and love the view from the ‘Siamese Twins’. The snow just added some “spice” to our visit. Being right in Manitou Springs instead of being in a park outside of town was just great. 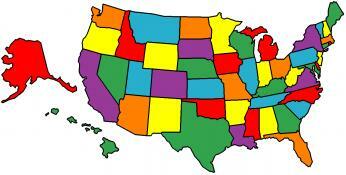 We could walk almost everywhere!